The Six Semiconductor Inc – The Six Semiconductor Inc is a silicon IP startup in Toronto, Canada which is focused on GDDR6 PHY IP design. 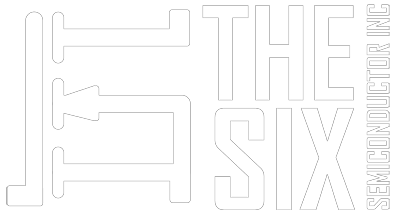 The Six Semiconductor Inc is an analog mixed-signal integrated circuit IP startup in Toronto, Canada. The company’s philosophy is to provide optimized circuit design with full custom design flow, focusing on schematic-layout co-design optimization; an art that is lost with modern tools design flow. This allows for easy and quick customization of IP efficiently tailored to our customers needs. This startup consists of a small efficient team that can provide immediate design discussions and feedback for quick execution.